I’ve been getting so much use out of my J.Crew coat! It’s the perfect neutral shade to go with practically everything in my winter wardrobe. I love the contrast it gives to an all-black outfit, but it also looks incredible with winter whites and other creamy shades. 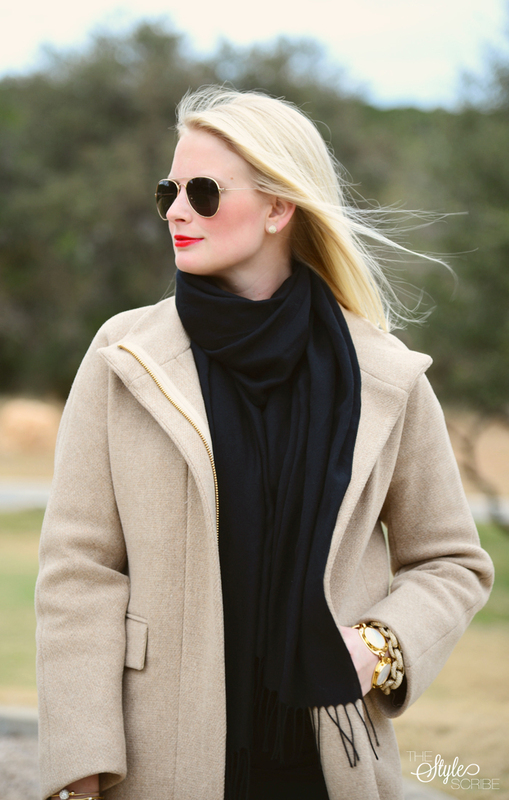 What is your go-to coat? You always kill it with the red lip, Merritt! I love how much the red lip pops here! So perfect with the neutral outfit! And loving all the little touches of gold, too! 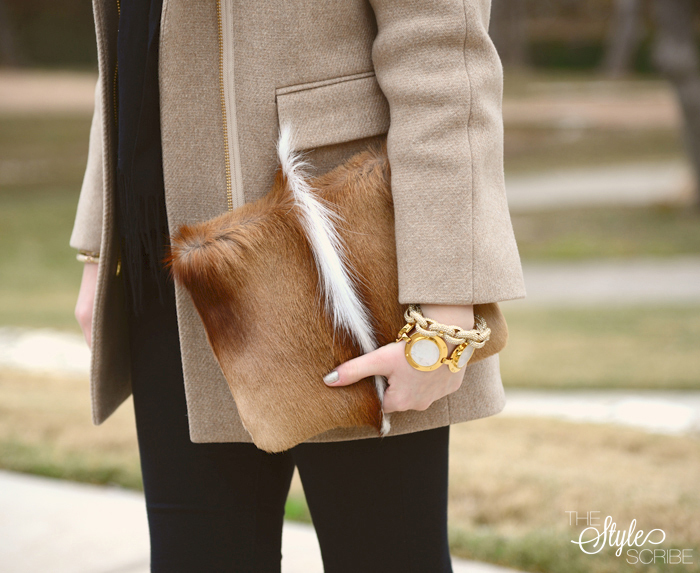 I love, love, love your clutch! The colors are beautiful! You look so elegant – I love the neutrals paired together with gold. So gorgeous! Such a simple outfit. The accessories really pull it together. I love it! So chic! Love the pop of red with the lips!